Coffee Spots which are near railway stations, including those which are in them. Coffee@33 is one of Brighton’s hidden gems, a stone’s throw away from the station at No. 33, Trafalgar Street. I was originally put onto it Horsham Coffee Roaster back in 2013, not long after Coffee@33 had started using Horsham as a second roaster alongside Monmouth. Back then, Coffee@33 was so under the radar that it didn’t even have its name outside, but despite that potential drawback, it already had a fiercely loyal following. Fast-forward five years and a rare excursion to Brighton, I finally managed to revisit Coffee@33, where I ran into Taras, who, along with his business partner, owns Coffee@33. In many ways, little had changed, with the coffee shop being instantly recognisable from my visit of five years ago. On the other hand, quite a lot has changed. There’s new equipment behind the counter, in the shape of a cutting-edge Mavam modular espresso system. Perhaps more importantly, Coffee@33 now roasts all its own coffee and has recently moved to using a new, modern Loring coffee roaster. 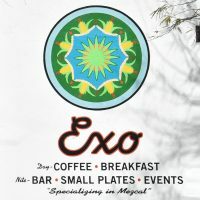 Exo Roast Co. has, since 2013, been roasting and serving some excellent coffee in the centre of Tucson, Arizona. I first visited in March last year, after a tip-off from Coffee Ken, who I met at Matador Coffee in Flagstaff on my first of visit to Arizona in 2018. I also called in again on Saturday, when I was back in Tucson. Occupying a sunny corner, Exo is split in two. From the outside, I’d have bet that the back was the roastery, with the coffee shop up front. While I was right about the coffee shop part, the roaster is here too. The back, meanwhile, provides overspill seating, a part-time bar and occasional events space. Exo Roast Co has a concise espresso-based menu, pleasingly lacking the buckets-of-milk style drinks, with a single-origin plus decaf on espresso, another on batch-brew and two more as pour-overs through the V60. Breakfast is served until noon during the week, while at weekends, it shifts by an hour, not starting until 8:00 but continuing until one o’clock. There’s a short, but inventive seasonal menu chalked up on a blackboard on the wall next to the coffee menu. There’s also a small selection of cakes/pastries. Toro Coffee burst onto Glasgow’s speciality coffee scene (specifically the Southside) in September, becoming an instant hit, partly thanks to the efforts of cheerleader-in-chief, my friend Charlotte. Indeed, when I popped over to Glasgow last week, Charlotte’s plan for the morning was “we’re going to Toro”. Not, “would you like to go to Toro?”. No, we were going. On the other hand, Charlotte has excellent taste in coffee shops, so I wasn’t about to disagree. Other than the coffee, the main draw is the wonderful, friendly and welcoming owners, Ross and Gill. Although a new name, Toro has good pedigree: Ross’ big brother, Iain, owns Primal Roast, one of my favourite Glasgow breakfast spots (and also home to some excellent coffee). Although there’s a wide selection of cakes, plus toast for breakfast (as if I needed any further encouragement) Toro’s main focus is the coffee. 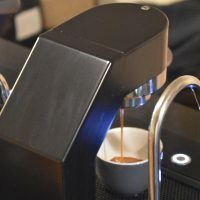 It’s a multi-roaster, offering separate options on espresso and filter, the later available as batch-brew through the ever-reliable Moccamaster, and as pour-over, using hand-thrown ceramic Kalita-wave style filters. The espresso changes every week, while the filter is swapped every day or two, with roasters drawn from just down the road to half way across Europe. I’ve long been a fan of Heart & Graft, and its co-owner, James, having first met in 2013 at Coffee Fix in Gatley on the outskirts of Manchester. Back then James was running his first roastery, The Coffee Circle, while also working as a barista at Coffee Fix. However, by the time the first Manchester Coffee Festival (then known as Cup North) came around in 2014, James was installed in a new roastery in Artwork, the venue for the original Cup North. 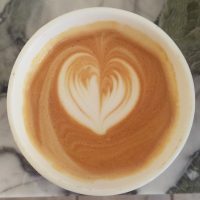 By then, the Coffee Circle had morphed into Heart & Graft and soon after, James teamed up with Sean, the two of them taking Heart & Graft from strength to strength. Sadly I never managed to visit the original roastery, which closed down at the end of the summer, moving to a new space in Newton Heath. At the same time, Heart & Graft had the opportunity for a coffee shop under a railway arch in Salford, a few minutes’ walk from the original roastery, the shop opening in early October. Naturally, when I was back in Manchester at the start of the month for this year’s Manchester Coffee Festival, I couldn’t miss the opportunity to call in. When looking for speciality coffee in Rome, it pays to get a little off beaten track. Although you can find good quality traditional espresso bars like Tazza D’Oro and the occasional gem such as Roscioli Caffè Pasticceria in the centre, there’s also great coffee to found elsewhere. Today’s Coffee Spot, the Tram Depot, is south of the historic centre, beyond the Palatine Hill and Circo Massimo, on the far side of the Aventine Hill. 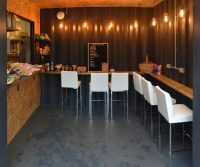 The Tram Depot consists of a small kiosk where you can take your coffee at the counter, with a spacious outdoor seating area if you want to linger. During the day, the focus is very much on the coffee, from Le Piantagioni del Caffè, a roaster I had not heard of before, hailing from the Tuscan coast. There’s a single-origin on espresso and three more on pour-over through V60, Syphon and cafetiere, while there’s also loose-leaf tea. 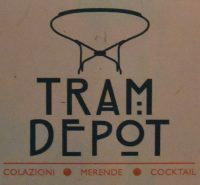 In the evening, the Tram Depot switches to a bar, staying open until 1am each night, serving wine, spirits and cocktails, although you can also get espresso-based drinks. This is all backed up by a range of tasty cakes and pastries, plus sandwiches if you want something more substantial. For the longest time, Chester, closest city to Holywell, the town where I grew up, has been poorly served by speciality coffee. 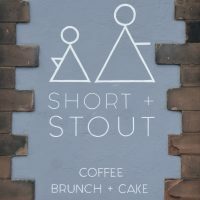 However, in recent months a spate of new openings have joined stalwarts such as The Barista’s and Jaunty Goat in the city centre and Little Yellow Pig, out in Hoole, which is where you’ll find today’s Coffee Spot, Short + Stout. Occupying an interestingly-shaped building on a narrow corner at the end of two terraces in a relatively quiet, residential area, it’s not a huge space. Despite this, Short + Stout acts like a much larger coffee shop, offering breakfast, brunch and lunch menus, complete with full table service, a clear sign of its Melbourne roots, which is where the owners, Sarah and Will, first got their inspiration. The coffee is from nearby Ancoats Coffee Co in Manchester (Sarah having known Manny, from Ancoats, when they were both working in Melbourne). During my visit it was espresso only, with the ubiquitous Warehouse City blend joined by Ancoats’ seasonal decaf. However, Short + Stout, which had been serving cold brew over the summer, was in the process to switching to offering guest roasters on batch-brew alongside the espresso-based drinks. 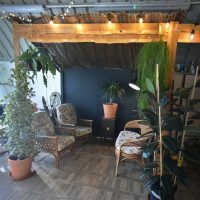 Occupying a bright, sunny corner just a few doors down from Birdhouse, Story Coffee has been part of the furniture in this part of London, which is just west of Clapham Junction station, for close to four years. Give how often I go up to London, this shows just how little I get out of the station rather than zipping through it on the train. The loss, frankly, is all mine. There’s not much to Story Coffee, just a single, unfussy rectangular space, with plenty for room on the broad pavement for a cluster of tables. Meanwhile, inside is a mix of tables and bars. 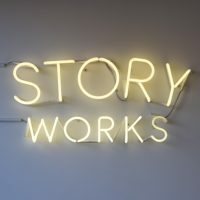 Since it started, Story Coffee has used London’s Square Mile, but that’s slowly changing, Story having recently started roasting its own coffee. For now it’s Square Mile’s Red Brick on espresso, with a different single-origin on batch-brew and another on pour-over. 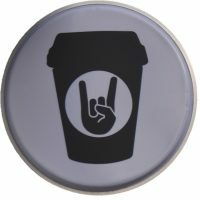 These change every day or two and represent your best chance of sampling Story’s own coffee, which occasionally makes an appearance. For somewhere so small, there’s also an impressive brunch menu, prepared in the kitchen downstairs, and served until three o’clock each afternoon (four o’clock at weekends). Naturally, there’s a good selection of cake.